The game-changing new Series 5 thin film photovoltaic (PV) module will be showcased by First Solar at Intersolar 2016. This will mark the first time that the module, which features a form factor that is similar to a conventional crystalline silicon (c-Si) panel, will be on display in Europe. The next-gen 365-watt solar module, which is 1.85m high and 1.2m wide, will be available in Europe by the third quarter of 2017. It builds on the performance and reliability of First Solar’s currently available Series 4 product. The glass-glass Series 5 module features an integrated steel dual-back mounting rail assembly which reduces Balance of System (BOS) costs and installation times. 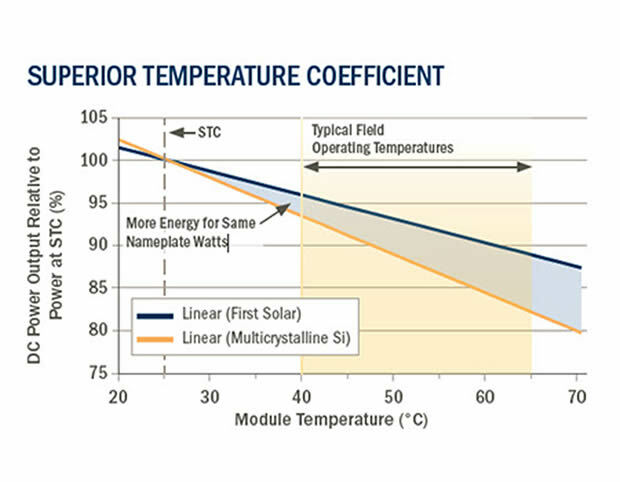 First Solar’s high performance thin film modules already offer several performance and reliability advantages over c-Si panels. The module’s low labour requirements make it ideal for markets with high labour costs, such as Europe; the modules can be installed either manually by two people or mechanically. First Solar currently has an installed capacity of over 4GW in Europe. First Solar will also showcase its comprehensive Energy Services offering a suite of products designed to fit the needs of utility-scale power plant owners and operators at Intersolar. Each solution addresses a specific business model, from owners looking for turnkey operations and maintenance (O&M), to organisations who self-perform O&M but need the technology to improve efficiency and fleet performance. Visitors will also be able to experience First Solar’s state-of-the-art Operations Center. First Solar will present its new module on 22nd June, 2016 at Intersolar at 5pm at booth #158 in Hall A1.